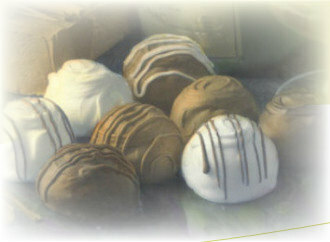 Claudia B Chocolates was started in October of 1987, in San Antonio, Texas, as a retail store in the fashionable mall, North Star Mall. At that time, the store was known as Le Chocolatier. In a short period of time, the operation was expanded to other retail locations selling products that were produced in the original retail location. In 1989, a production facility was established outside the retail location in order to satisfy the demand for the products from other retailers that wanted to purchase the products to sell in their retail stores. In the summer of 1996, we moved to our current factory location. All of our products are handmade in small batches, thus insuring the freshness. Only fresh cream, butters and natural compounds are used in the preparation of our products.